is an intermediate barred spiral galaxy with a most unusual, single prominent ring structure. 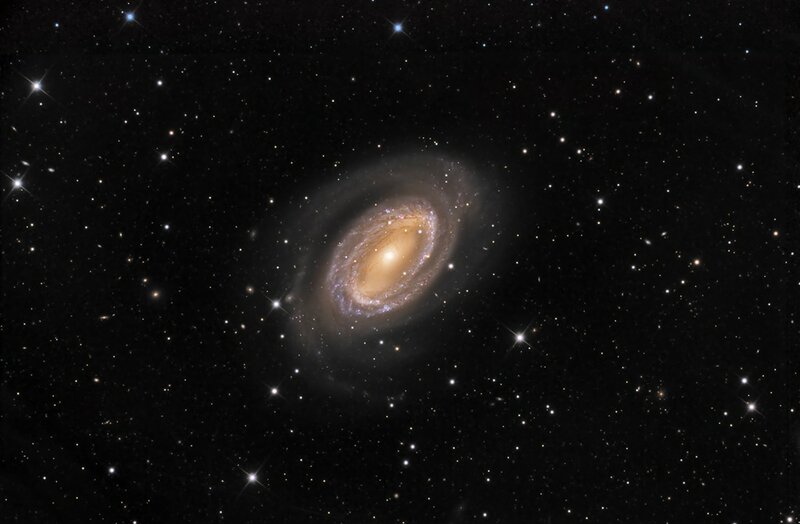 At 40,000,000 light-years distance, and 100,000 light-years across, NGC 4725 is a Seyfert Galaxy, suggesting an active galactic nucleus containing a supermassive black hole. ​Thanks to my partner Dr. Steve Mazlin for acquiring this data from New Mexico Skies.